The heat and summer weather continues but visions of classrooms are filling many heads as teachers and students begin the final stretch of “vacation” and “It’s the last time, I can . . . this summer” routines. I attended a research round table at #ILA18 in Austin and posted the first side of the hand out from one 15 minute segment about Chapter 16, “It is About Time for Comprehensive Language Arts Instruction (We’ve Tried Everything Else! )” in this post. How will those “8 Components” be implemented? The first implementation I am highlighting was the first on the page. Four different options for “making time” were listed. Will one of those work for you? Which one? More than one? If your students need to increase their reading volume, time is an issue. How can you ensure that they will have more time to read? What is within your control? How are your priorities visible for yourself, your students, and your entire learning community? What are you having students learn and why? How will you know that students have learned the words? I’m a believer that sight words are “known” when they are used and spelled correctly in writing. Not just the quick, fast recognition for reading but also the accurate recall and correct spelling when the words are written. Part of the practice to get the word into long-term memory can be handwriting. What a win/win for students! And what a way to achieve my goal: No more students spelling “said” as /sed/ because that is the way it sounds!!! And for today, the final and perhaps most important recommendation . . . This last section is probably the most critical in my thinking. Why on earth do we keep doing “stuff” that we know either a) is not effective? or b) does not matter? Here’s the link to the document (both pages). How will this inform your instruction? What conversations do you need to have prior to sweeping changes? 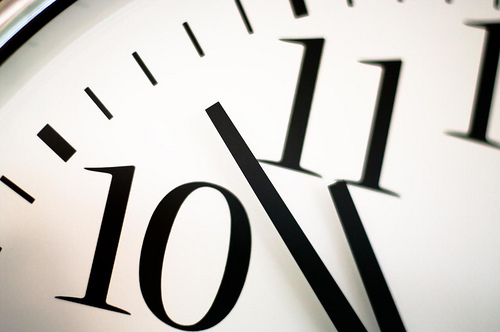 How will you know if you are using time wisely? How will you continue to “check in” on your own use of time? You can read more #DigiLitSunday posts at Margaret Simon’s blog, Reflections on the Teche. “Tracy is a language arts teacher who has posted all of her lesson plans, assignments, and quizzes online so that students can access them at home, as well as at school. Tracy’s school recently implemented a one-to-one program in which each student has access to a personal computing device. To leverage the technology, Tracy has all of her students follow along on their devices during a guided reading exercise, during which the teacher and students examine a piece of text together. After a class discussion on the text, Tracy has the students switch over to Google Docs where they each write their own agreement or disagreement with the central argument of the text. 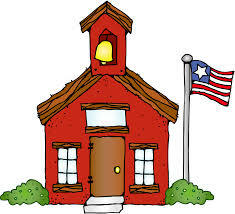 During this time, Tracy roams the classroom making sure students are on task and answering any questions that arise. Tracy’s students are all using the personal computing devices s to read and write, but they are moving through the content as a single batch doing the same thing at the same time with no element of control over the time, place, path, or pace of learning. 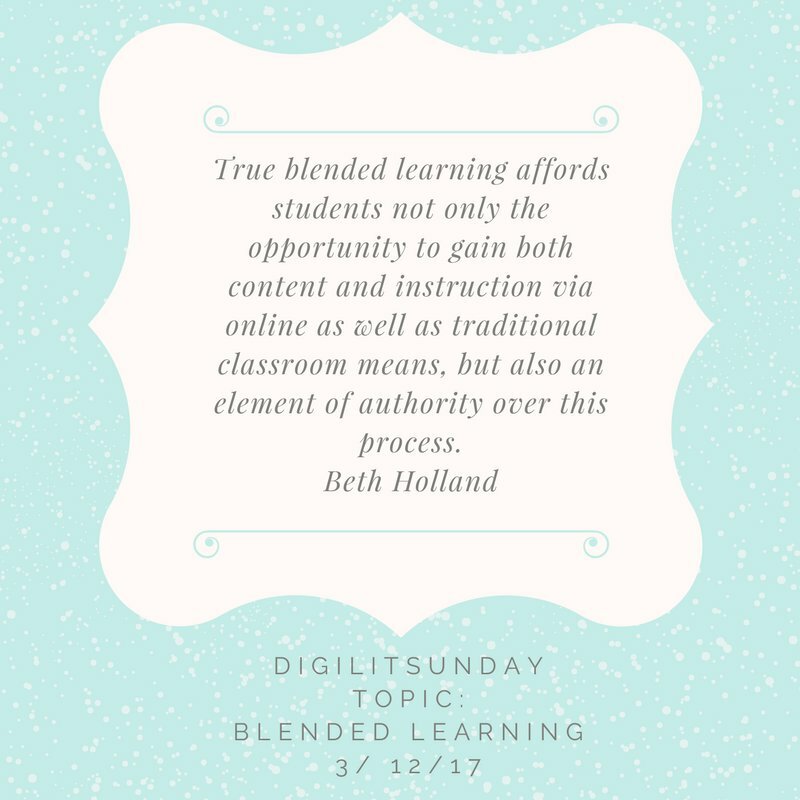 Are you providing blended learning environments? Are you providing technology-rich environments? How could students have more control over time, place, path or pace? Every Friday morning I wish I had just 15 more minutes. 15 more minutes to read or write. 15 more minutes to get organized for the day. 15 more minutes to chat with Mya. 15 more minutes to review lessons for my day. 15 more minutes to talk to the kids in the classroom. 15 more minutes to get organized before the weekend. Oh…. just 15 more minutes. What would you do with that hour by the end of the month? Or is this your wish for every day? Reader notes: Today’s blog post is based on Romeo Lit Coach’s post, “15 More Minutes March 6 #SOL17” here. Several items in yesterday’s ASCD SmartBrief (June 4, 2013) caught my eye. But the one that captured both my mind and my heart was the pdf available titled “Multiply Your Minutes” in a preview from Great Habits, Great Readers: A Practical Guide for K-4 Reading in the Light of Common Core by Paul Bambrick. My first read was while waiting for an appointment to meet with a curriculum coordinator. (With my iPad in hand, I even shared some sections immediately.) My second read was to consider which co-workers would get an email link. My third read was after a co-worker commented on “I like the part about. . .”; I had to reread to find that “evidence.” I wanted to make sure that we both had a common understanding and that my enthusiasm had not been misplaced. Then I sent the link to another circle of co-workers. My morning drive to work was spent rehearsing a title for this blog entry that I just had to write. And then before I began writing, gasp! I read the pdf AGAIN! Time is one of our most precious commodities in school. As a teacher and administrator, I was often cavalier when I would use the excuse, “I just don’t have time,” so I did not have to change what I was doing. It was a well-worn excuse! But in my role as a literacy specialist, I see time as a critical factor that with “better management” has the potential to lead to increased student learning. I find it incredibly hard to listen to conversations about how longer school days will improve learning when the day that we have just does not seem to always be used wisely. Is this important? Doug Fisher spends time on “Routines for the First 20 Days” and Daily 5 is all about the “routines” that need to be taught in order to allow students to become both independent and productive. So what was so illuminating? The 3 pdf sections available for preview are perfect for end of year reflections as well as August resolutions to “Maximize Time!” and increase student learning! (and to “tide you over” until your book arrives!) Check out these three GEMS! 3. 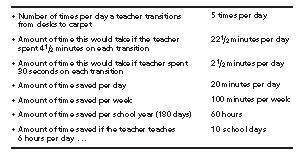 And the amount of instructional time gained if transition time was reduced from 4.5 minutes to just 30 seconds because of explicit instruction and practice. Ten school days! Wow! Have you timed your transitions lately? Maybe you are at 2.5 minutes. You could still gain five days in a year! What routines do you teach your students in order to maximize your time? What routines SHOULD you teach? What are you thinking of changing for next year? Please add your ideas below! Volume of Reading: How much is “enough”? made suggestions on how to find more time for student reading. Successful reading does not happen in a vacuum. How do you know that each precious moment is spent on the “right things”? 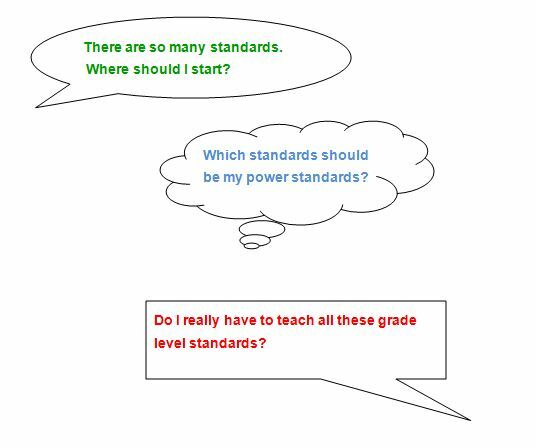 How do you know that you have high-quality reading instruction? How can you make reading time more effective for “Every Child, Every Day” within your daily schedule? What do educators need to do today and every day (11 months later)? 1. “Every child reads something he or she chooses. 2. Every child reads something he or she understands. 3. Every child talks with peers about reading and writing. Are all four of those elements a part of your reading workshop every day, for every child? Remember that all four are research-based strategies that have been proven beneficial for all students! 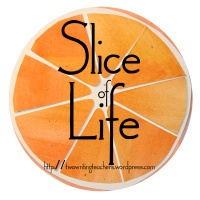 This is the 4th post in a series that began after hearing Lucy Calkins in Chicago on January 25th. The ideas expressed in this post are not from Lucy’s presentation but instead come from work with teachers in my area. Common Core: A Promise? A Failure? Volume of Reading? How much is “enough”? In this post, I am asking you as the teacher to reflect on both your efficiency and effectiveness as a teacher. What is working? What is not? How do you know? should be constant questions circling through your brain as you search through your day for minutes that you can re-purpose for increased student reading. Do note that not all of these will necessarily apply to you and your classroom. If you are not interested in change, please go read something else. This post is specifically designed to make you consider time utilization across the many facets of your day! Mathematically, why does this matter? I am going to include a second grade comparison for each item listed below. I will be assuming an average second grader reading approximately 100 words per minute. So if “5 minutes are found” that will allow the student to read approximately 500 more words. There is a possibility that if “20 minutes are found” across the day, the student could read 2000 more words and be more likely to be on target to meet the promise of the Common Core English Language Arts Anchor Standards! A. Talk less; Watch and listen more. Students read and write more! B. Shorten mini-lessons or focus lessons! C. Consider whole class instructional activities. Pick one and get started. Removing inefficient time barriers to reading is a critical task that teachers can undertake immediately that will result in increased time for reading for ALL students!